Crossbows are made differently because each one of them has specific uses. For instance, you will need a different set of features for target practices and another for animal or game hunting. If you love hunting, finding the best crossbow for turkey hunting will ensure that you’ll have a great time and experience. Knowing where to start can be half the battle when choosing a turkey-hunting crossbow, especially since there are a number of factors to consider. However, by following this guide, you will be able to find the best crossbow for turkey hunting for your needs with relative ease. Below are essential considerations when buying a crossbow. The first thing to consider when choosing the best turkey-hunting crossbow is your budget. As with any weapon, crossbows can get pricey, so by setting your top budget in advance, you can narrow the options without getting your heart set on a super pricey model. The second thing to consider is the setting in which you will be hunting. For instance, if you are hunting from a blind side, then you can afford to use a more massive and more time-consuming crossbow than if you are using a turkey call in the open. The most important feature to look for when buying your crossbow is its accuracy. One reason turkeys are so challenging to hunt with any weapon is that they are faster and smaller than other game animals. Thus, you want to make sure your crossbow is as accurate as it can be so that you can trust your aim at all times. Though turkeys are relatively small compared to other game animals, as mentioned, they are fast. Having a crossbow with a high power level will ensure your arrows reach the turkey and cause damage as quickly as possible. Otherwise, you may just injure the turkey. If you are looking for a high-end crossbow for turkey hunting, the Barnett Jackal Crossbow Package is a great choice. 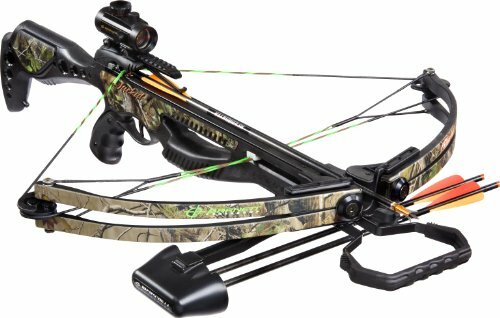 In addition to the bow itself, it comes with three arrows, a quiver, and a red dot sight. The inclusion of these items means you have to buy fewer add-ons down the line. The power behind this crossbow also makes it an excellent choice for turkey hunting. It shoots at 315 feet per second (fps) and has a 150 pounds draw weight. Combined with the great accuracy of this bow, it will undoubtedly serve you well on your next turkey hunting trip. Though it has many positive qualities, the Barnett Jackal Crossbow Package also has some negative attributes. First of all, the included string simply does not hold up to the quality of the rest of the crossbow package. In fact, after a few shots, it will fray and need to be replaced. Another issue is the fiberglass clip holding the secondary string in place. It usually breaks under pressure, and if you are using the bow at the time that the clip breaks, this can be quite dangerous. If you are looking for something that is very affordable while still packing a punch, the iGlow Hunting Pistol Crossbow is a great option. This bow comes with 15 bolts and a replacement string. It is integrated with an auto-cocking mechanism for added safety. In addition to being very lightweight and portable, this crossbow is also deadly accurate up to about an inch. Its small size actually benefits the turkey hunter because you can aim it quickly. Like the previous option, the iGlow Hunting Pistol Crossbow does have some negative features. For instance, though it comes with two strings, they are of extremely poor quality. You will probably breeze through both strings within two dozen shots. Another issue is the quality of the provided bolts. Even though the power of the bow, which is 80 pounds, is relatively low, the included bolts cannot even handle the power. They shoot from the bow well, but they tend to break on impact, which means you will need to invest in new ones soon. As far as price points go, the Wizard Archery Hunting Crossbow Package falls directly between the previous options. 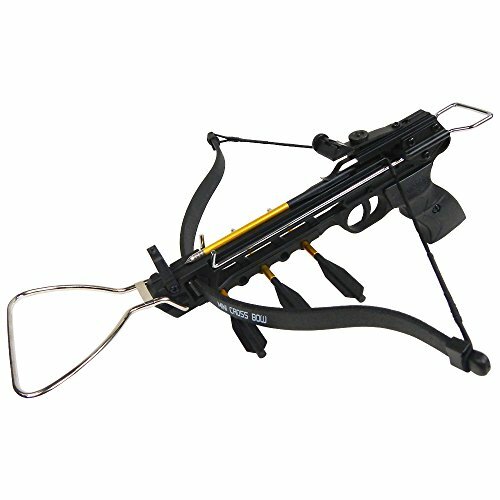 This crossbow comes with eight arrows, a scope, a foot claw, a string, and a scope. An auto-cocking mechanism is also built-in, making it user-friendly and safe for beginners. The scope often causes issues for lower priced bows as prices for optics tend to reflect quality, but that is not the case with this product. The provided scope actually holds a zero setting very well, so you do not need to readjust it every time you want to hunt. Combined with the power, the scope is a great asset. 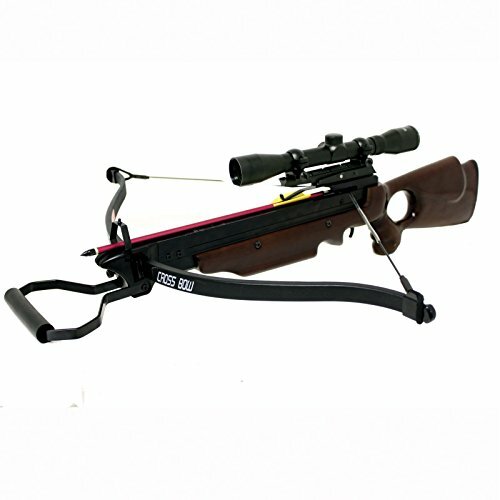 While it has many great features, the Wizard Archery Hunting Crossbow Package still has faults. First of all, the included bolts have very poor quality and break easily. While they may be okay for light target shooting, they likely will not hold up to hunting. The second issue with this bow is that it is complicated to load the string unless a cocking rope is used. The provided string is also on the shorter end, so it is nearly impossible to string the bow safely as it is. You will likely either need a cocking rope or new strings. No matter what your budget is, there is an excellent turkey-hunting crossbow available on the market for your needs. Since turkeys are fast and small, we would recommend the Barnett Jackal Crossbow Package because it is the best crossbow for turkey hunting when it comes to arrow-delivery speed. This means that it can hit the target powerfully before it even runs. Nonetheless, the three crossbows on this list certainly earn places as some of the best turkey-hunting crossbows that money can buy to help ease some of the difficulties of crossbow hunting and ensure the best hunting experience.